With the worldwide phenomena of the #MeToo movement engrossing every walk of life, Hollywood was no exception to the unmasking of workplace sexual harassment claims. One unexpected casualty of the movement was Kevin Spacey, a veteran actor with a stunning resume, who faces multiple accusations of unwanted sexual advances. Consequently, director Ridley Scott felt compelled to do the unthinkable with his new film All the Money in the World. 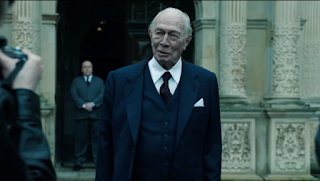 A mere six weeks before its official release, Scott recast Academy Award Winner Christopher Plummer in Spacey's role and re-shot 22 scenes in 9 days with the committed aide of his cast and crew members. But how much of an effect would all of these 11th-hour changes have on the overall quality of the film? Truth be told, these last-minute edits are the least of the movie's issues. All the Money tells the unbelievable true story of oilman John Paul Getty (Plummer), the world's richest man, who refuses to pony up a $17 million cash-ransom demanded by the kidnappers of his 16 year-old grandson Paul (Charlie Plummer, no relation) in 1973 Italy. But when Paul's mother, Gail (Michelle Williams), pleas desperately for Getty's assistance, he enlists the services of personal advisor and ex-CIA agent Fletcher Chase (Mark Wahlberg) to take care of matters "as quickly and inexpensively as possible". Pressed for time as Paul's abductors make it clear that they aren't afraid to kill the teen if necessary, Gail and Chase try to scheme a way to cut a deal. There's a more interesting story embedded somewhere within this broadly told screenplay from David Scarpa. But instead, All the Money muddles its focus and emerges as a thinly-elaborated and thrill-less bout of factual exhaustion. Widely outstretched to nearly 135 minutes of uninspiring and occasionally agonizing narrative, Michelle Williams and Christopher Plummer deliver effort-saving performances that are but twinkles of starlight in a dark and empty void of crumbling deficiencies. The film's two most-prominent characters, Gail and Getty, become lost in a sea of meaningless subplots. The lengthy amount of attention given to the kidnappers and their prisoner, Paul, lacks the required tension needed to justify its overwhelming inclusion. Moreover, Mark Wahlberg is so noticeably miscast that it's difficult to tell whether his designed character arc is poorly scripted, terribly acted, or a disastrous combination of both. Either way, this bitter and cold real-life story lacks a genuine purpose. It fails as a suspenseful thriller, it underwhelms as a cheaply-explored character study, and it by no means engages the viewer emotionally. You will find some brilliant examples of skilled acting and a few strong moments of direction sprinkled throughout the film, yet there's very little else to be found inside of Ridley Scott's All the Money in the World. Although it took a pair of tries to finally get it right, last year's Best Picture award went to Barry Jenkins' poetic and astounding drama, Moonlight. The film focuses on a central character who experiences a life-long journey of uncovering his sexual identity. This underlying similarity also reigns supreme in Luca Guadagnino's critically-adored festival darling, Call Me by Your Name, which makes it categorically impossible to avoid a distinct comparison between these two cinematic achievements. Yet, no matter how much you try to weigh one against the other, much like Barry Jenkins' prestigous award-winner, Call Me by Your Name appears destined to end up as a Best Picture Nominee from the Academy Awards. Set against the picturesque landscape of Northern Italy circa the early 1980s, Elio (Timothee Chalamet) is a gifted scholar and musician born to a professor (Michael Stuhlbarg) who's gathering research during the summer months. And as his father's latest research assistant Oliver (Armie Hammer), a strapping American man radiating with confidence and a chiseled build, visits and stays at the family's residence, Elio's sexual curiosity begins to transform from an internal passion to an exterior pursuit. The seventeen year old boy eventually confesses his feelings to Oliver and they embark on an unforgettable summer romance that's doomed by an inescapable expiration date when Oliver must return home to the United States. Call Me by Your Name is a sweet and subtle examination of first love in all of its beauty and heartache. James Ivory's adapted construction of Elio's sexual evolution from an inward curiosity to an outward plea for Oliver's companionship is a true marvel. And while the film's ability to stir an emotional response occurred more in a meditative retrospect than in the actual moment of viewing, mostly due to an overly detailed and laboring pace, director Luca Guadagnino achieves his ultimate goal and delivers an effective dramatic story. Speaking of Guadagnino, his eye is spectacular as he captures an array of masterful shots that are emboldened by pristine cinematography. These technical and atmospheric accomplishments are further supported by a fantastic lead performance from Golden Globe and SAG Nominee, Timothee Chalamet. The youngster serves as the life-force behind Call Me by Your Name and he effortlessly captures the undulating teenage emotion engulfed by first-time love. And despite my mixed feelings regarding Armie Hammer's onscreen work, perhaps a little off-putting due to the clear age difference between the characters, fellow supporting star Michael Stuhlbarg mesmerizes with an unforgettable closing soliloquy regarding intimacy and the important of discovering love in its purest form. Experiencing Call Me by Your Name can often feel like a chore, wading through the sometimes exhaustive nuance of Luca Guadagnino and James Ivory's storytelling, but it's also a tender and heartfelt journey that's worthy of your patience. 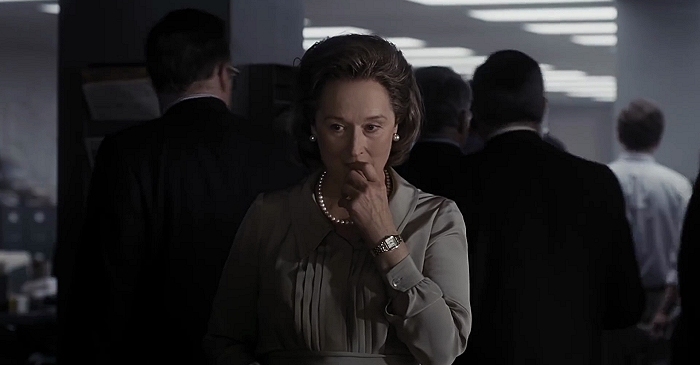 Safe Bets: While I'm still of the belief that Steven Spielberg's The Post will benefit as Hollywood's response to the current political landscape, a new film has emerged in the "Safe Bets" column. Greta Gerwig's Lady Bird, the most well-reviewed movie of the year should also find itself as a finalist alongside Three Billboards Outside Ebbing, Missouri and The Shape of Water. Other Potential Nominees: The next tier of films include Dunkirk and Call Me By Your Name, both of which check off a lot of necessary boxes to help them make the cut. As we push closer to the announcement of Oscar Nominations, which are less than a month away, Sean Baker's The Florida Project keeps appearing on critics' end-of-the year lists. Perhaps the small budget indie will have what it takes to land a nod. 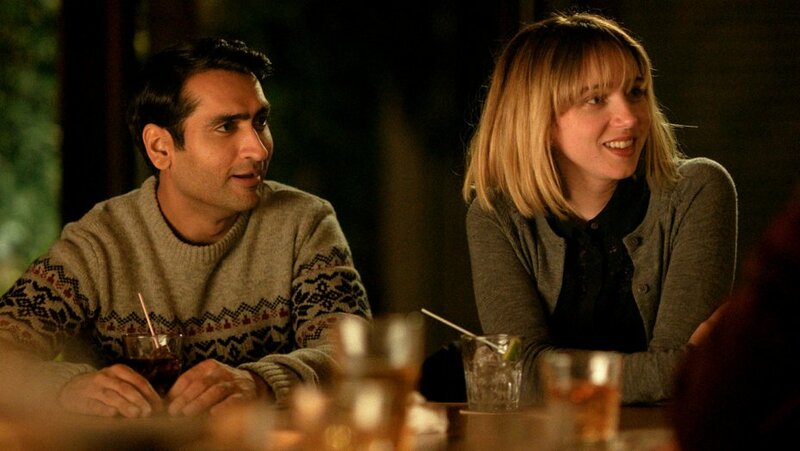 Dark Horse Contenders: Kumail Nanjiani's The Big Sick raised its stock with a SAG Best Ensemble Nomination, but being an early release can prove challenging. One or both of Mudbound and Get Out have a chance of sneaking in, especially following strong reception from SAG, while Darkest Hour keeps losing momentum ever since its festival debut. Phantom Thread has found immense praises from Paul Thomas Anderson devotees who have seen the film, and it could be a huge player a month from now, but I, Tonya is up against some difficult odds coming from a film company that's inexperienced in the awards season game. Safe Bets: From what I've seen nothing tops Guillermo del Toro's sharp direction for The Shape of Water. His work is undeniably good and should land him a nomination alongside the great veteran of filmmaking Steven Spielberg (The Post). Beyond those two things get a little murky but I'm starting to believe that Martin McDonagh (Three Billboards) will definitely find a place in the final five. Other Potential Nominees: Lady Bird director Greta Gerwig was snubbed by the Golden Globes, but her film is still in the hearts of many and that could be enough to muscle her into the mix. Christopher Nolan (Dunkirk) has a long history of being overlooked by the Academy, yet many feel that this is the year he gets his justice. 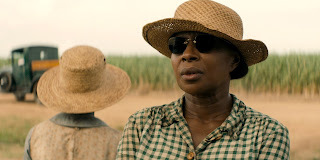 While the quintet listed above would make for a fine group of Best Director finalists, Dee Rees (Mudbound) could still play the spoiler if the Oscars decided to nominate the first African American female in this category ever. Dark Horse Contenders: Luca Guadagnino (Call Me By Your Name) and Sean Baker (The Florida Project) helm a pair of beloved titles, but lack the clout of the names above. Instead, perhaps a more notable dark horse such as Denis Villeneuve (Blade Runner 2049) or Paul Thomas Anderson (Phantom Thread) will sneak their way into the big dance. 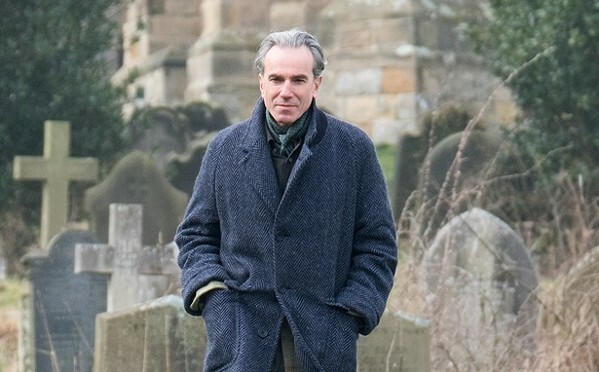 Safe Bets: It's difficult to imagine a final Best Actor race without Gary Oldman (Darkest Hour) or Daniel Day-Lewis (Phantom Thread), a pair of veteran powerhouses who everyone believes will duke it out for the statue. However, Denzel Washington (Roman J. Israel, Esq.) has surprisingly elevated his position in the category with nominations from both SAG and the Hollywood Foreign Press, despite the lack of fanfare for his film. Other Potential Nominees: I anticipate that hope is still very much alive for Spielberg's The Post, even after being shut out by SAG (which sometimes happens for very late releases), so Tom Hanks should still get a nod. However, space is quickly becoming limited with strong fringe-players in James Franco (The Disaster Artist) and the youngster Timothee Chalamet (Call Me By Your Name). Five of the six actors mentioned above should get in, and I'm leaning towards Franco as the one who misses out. Dark Horse Contenders: It's been a fantastic ride for Get Out's leading star, Daniel Kaluuya, who scored nominations from both the Golden Globes and SAG, but it's just not the type of film that gets recognized by the Academy. Jake Gyllenhaal's (Stronger) Oscar hopes appear to be fading, especially considering his numerous career snubs from the Academy, but I still believe he delivers a worthy performance. 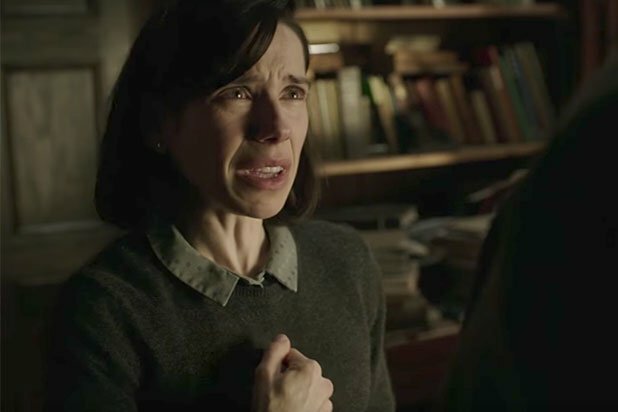 Safe Bets: Sally Hawkins (The Shape of Water) is absolutely masterful and I firmly believe the Oscar field is set in this category with all of Margot Robbie (I, Tonya), Saoirse Ronan (Lady Bird), Meryl Streep (The Post) and Frances McDormand (Three Billboards) closing out five nominations. I also believe that the winner is up-for-grabs and this should be one of the more exciting races to watch down the stretch. Other Potential Nominees: Judi Dench replaced Streep in the SAG Nominations for her work in Victoria and Abdul, but I don't think her run has staying power. Jessica Chastain (Molly's Game) is always a threat and last year's Academy Award Winner, Emma Stone (Battle of the Sexes), could be a shocking spoiler as well. Dark Horse Contenders: Any other Best Actress competitor feels like the longest of shots but it's at least worth mentioning Michelle Williams strong work in All the Money in the World. I wouldn't bet on it, but rumblings have also been heard regarding Vicky Krieps performance in Phantom Thread. 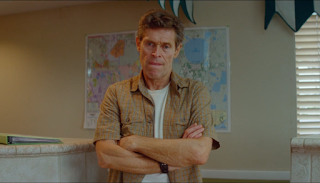 Safe Bets: This race should come down to Willem Dafoe (The Florida Project) and my personal favorite, Sam Rockwell (Three Billboards). I also feel confident that Richard Jenkins will score a nod for his deserving turn in The Shape of Water, although I don't necessarily see him as a threat to win it all. Other Potential Nominees: That leaves two nominations up for grabs with an endless list of possibilities. The next tier of supporting actors would most likely include Woody Harrelson (Three Billboards), who will struggle to capture votes thanks to a more prominent co-star, Steve Carell (Battle of the Sexes), Armie Hammer (Call Me By Your Name) and Christopher Plummer (All the Money in the World). Dark Horse Contenders: While the bottom half of this category remains wide-open, it wouldn't be too crazy to see and of Jason Mitchell (Mudbound), Mark Rylance (Dunkirk), Bryan Cranston (Last Flag Flying) or Michael Stuhlbarg (Call Me By Your Name) sneak in as well. Safe Bets: This happens to be a two-horse race as well, with either Laurie Metcalf (Lady Bird) or Allison Janney (I, Tonya) primed to capture a first Oscar statue. 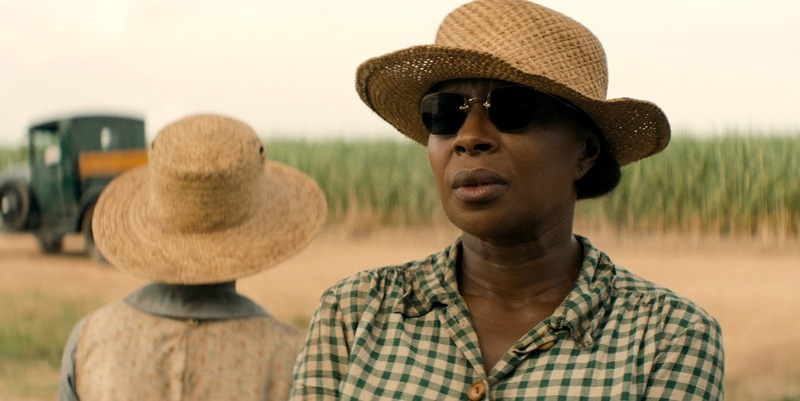 Mary J. Blige (Mudbound) also solidified her stature with recent nods from both SAG and the Golden Globes. Other Potential Nominees: Like Blige, Downsizing's Hong Chau earned nominations from both voting bodies as well, but her entry into the final five feels a little less secure. Octavia Spencer (The Shape of Water) and Holly Hunter (The Big Sick) are both serious threats to capture a spot or two. Dark Horse Contenders: Early work is Phantom Thread's Lesley Manville has the ability to play spoiler, as does Oscar Winner Melissa Leo (Novitiate). And finally, the Academy Awards don't usually reward comedies or their performers, but if the tides change this year than Tiffany Haddish (Girl's Trip) could very well steal a nomination. Most successful individuals must work or train tirelessly to hone their craft, devoting a lifetime to reaching the pinnacles of their professions. Yet, somehow Aaron Sorkin appears to circumvent the norm with his seemingly effortless skills that have transformed the screenwriter and playwright into an Oscar-winning titan of the industry. Sorkin's rare mastery of rapid dialogue interspersed with comedic undertones are staples in cinematic achievements such as A Few Good Men, The Social Network, Moneyball and countless others. But now Sorkin feels ready to embrace the next major challenge in his life, as the prestigious writer tackles his directorial debut with the unbelievable true story behind his new film, Molly's Game. After a crushing defeat ends the Olympic dreams of young skiing sensation Molly Bloom (Jessica Chastain), she ventures to California for a sunny retreat from her intense training and stressful upbringing at the behest of her father (Kevin Costner). While on the west coast, a series of odd jobs somehow navigates Molly into the underworld of high-stakes poker headlined by actors, athletes, politicians and all other kinds of celebrities. But as Molly's thirst for expensive taste and a desperation to be a part of the action crosses the line of legality, she's forced to beg attorney Charlie Jaffey (Idris Elba) for his counsel after the U.S. government presses serious charges and confiscate all of her finances. If you're a fan of Aaron Sorkin's past work, his trademark style is on full display once again in Molly's Game. Told through a non-chronological approach, the audience is given a thorough glance into the mindset of a remarkably gifted woman who trades her intellectual and physical strengths for a dark and exhausting life of underground gambling. Molly is at the forefront of nearly every scene, paving the way for Jessica Chastain to grow an audacious and compelling character. Despite Molly's crazy life story that manages to stay engaging even through a lofty 140-minute affair, Chastain's performance is strong but not transcendent. Her work rings familiar to another recent turn Chastain delivered in John Madden's Miss Sloane, and the similarities sour the experience a bit. Idris Elba and Kevin Costner provide stellar supporting performances as well, but the largest issue with Molly's Game is the film's inability to elevate the stakes. The story feels grossly repetitious at times and its dramatic conclusion is regrettably unnatural. However, Sorkin's usage of heavy dialogue is executed to his typical standards, keeping a comfortable beat and tempo that's constantly moving and never bores. Molly's Game is a decent effort and a fine directorial debut for Sorkin despite the movie's lack of necessary escalation. While footage is available for the rest of 2017's slate of end-of-year releases, we're starting to get a look into what the early months of 2018 have to offer. Usually marked with awards season release dates, director Clint Eastwood finds his newest work hitting theaters in February. The 15:17 to Paris tells the heroic true story of American soldiers on board a train to Paris who find themselves in the midst of a terrorist plot. Eastwood also uses the actual real life soldiers to play themselves in the film, a daring move that will interesting to see on the big screen. Check out the first official trailer for The 15:17 to Paris below. Alex Garland put his versatility on full display when the renowned screenwriter took a seat in the director's chair for his 2014 debut film, Ex Machina. Critics and audiences alike provided overwhelming praises for the effort and the film's success paved the way for Garland's follow-up feature, Annihilation. Natalie Portman stars as an army-trained biologist who ventures into an environmental anomaly in hopes of finding a way to save her husband (Oscar Issac) who got deathly ill following his mission into the same disaster zone. Annihilation also arrives in theaters this February and you can catch the film's new official trailer below. While the Golden Globe Awards span far more nominees, with their drama and basically non-drama distinctions for all acting categories, I view it as more substantial and telling when a performer misses out on a SAG Nomination. 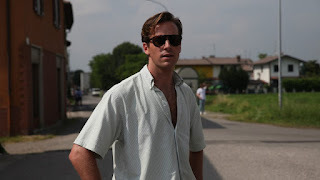 One of the biggest surprises comes from the Supporting Actor race where Armie Hammer (Call Me By Your Name) was surprisingly left out of the top five. Hammer did earn a Globe Nomination, but with SAG's wider overlap of voting members with the Oscars, this SAG omission hurts Hammer's cause far more than the Globe recognition helps him. His status changes from "safe nominee" to a fringe-player in the category. I was extremely shocked to find Jake Gyllenhaal's phenomenal work in the drama Stronger was left on the outside looking in from both awards ceremonies. 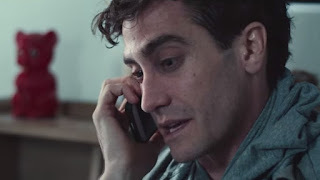 I knew Gyllenhaal was a borderline selection with SAG, yet even the Globes couldn't find room for such an emotional performance. I also had hopes of his co-star Tatiana Malsany sneaking into the mix, but she's less of a surprising snub since she was a long-shot from the start. What happened to Steven Spielberg's The Post? SAG completely shut out the film, which includes it's legendary leads Meryl Streep (Best Actress) and Tom Hanks (Best Actor) who both earned Globe Nominations. While this type of blind omission for a film may spell trouble for its Oscar chances, Spielberg's film screened extremely late and many voters may note have seen it yet. If not, then The Post is in trouble with the Academy Awards, but I doubt that's the case. Kumail Nanjiani's semi-autobiographical comedy The Big Sick went overlooked by the Globes, only to find redemption shortly after with a huge SAG inclusion. As clearly one of the year's most thoughtful and hilarious comedies, The Big Sick was left out of the Best Picture - Comedy/Musical, Best Screenplay (where many believe it could earn an Oscar nom) and Best Supporting Actress (where Holly Hunter has a fighting chance to make the final cut) races. Surprisingly, Nanjiani and the rest of the cast landed in a SAG Best Ensemble nod, over Guillermo del Toro's beloved The Shape of Water, and Hunter captured a nomination in her race. 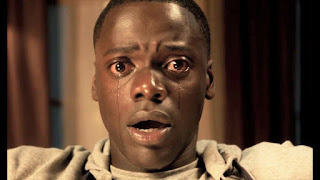 Get Out shockingly stole a Best Ensemble nomination from the field, a big win for the film as it wasn't expected at all, and the Best Actor race also got very interesting as the movie's lead, Daniel Kaluuya, scored an acting nod from both the Globes and SAG. While his surge is quite impressive, I'm not sold on its sustainability. Category rivals Timothee Chalamet (Call Me By Your Name), James Franco (The Disaster Artist) and Oscar veteran Denzel Washington (Roman J. Israel, Esq.) feel like safer selections from the Academy. Steve Carell boosted his Oscar hopes, seemingly, but not for the movie we all expected. 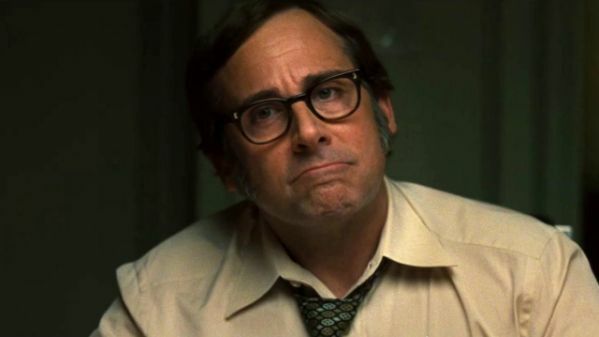 Oscar chatter regarding Carell's quiet and nuanced performance in Last Flag Flying has all but passed, especially after Carell garnered recognition from both the Hollywood Foreign Press and SAG for his role as tennis star Bobby Riggs in Battle of the Sexes. Oddly enough, Carell's pair of nominations also came in very different categories (Best Actor Comedy/Musical with the Globes and Best Supporting Actor with the Scren Actors Guild). Clearly his role is of the supporting variety, so if the Oscars do go that way, that's where he'll land. Ridley Scott (All the Money in the World) continues his dominance with the Globes as he supplants the consensus pick, Greta Gerwig (Lady Bird), in the Best Director category. Furthermore, Scott's leading lady Michelle Williams earned a nod, as did late addition to the film, Christopher Plummer (Best Supporting Actor). Plummer's nomination is particularly surprising considering he was brought on board nearly a month before the film's release to replace Kevin Spacey following some shocking sexual harassment allegations. Best Supporting Actor is typically a crowded field, but Plummer catapulted his way up the ranks with the inclusion. Which December release is most likely to get your hard-earned money? Enter keywords into the search engine below to scour my blog for posts regarding movie reviews or news concerning actors, actresses, directors, and upcoming releases.